A nearly 30-year old photo of Stephen A. Smith from his Winston-Salem State days has resurfaced and taken the internet by storm. The internet is a strange place. Something could be online for years, lie dormant, and nobody give it a second thought. And then someone tweets it and all of the sudden, it’s a thing. A photo of Winston-Salem State alumnus Stephen A. Smith was heavily discussed on Twitter on Monday, and not all of it was related to his sports takes on The Four Letter Network. A photo of a college-era Smith was posted under a thread titled “The Worst Hairlines of All-Time” and from there, hilarity ensued. 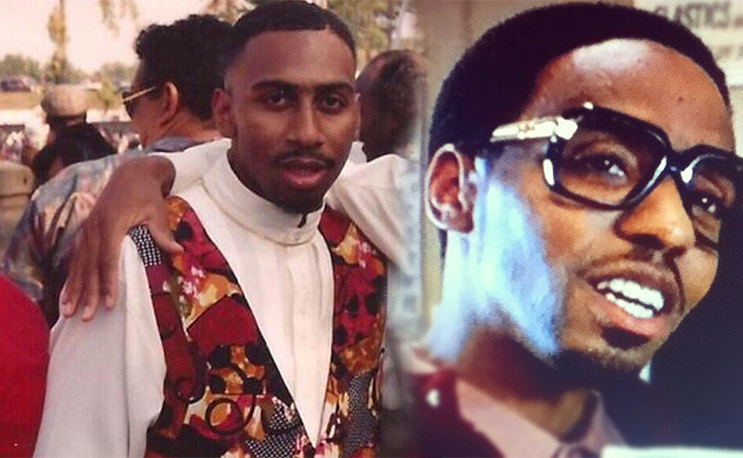 Some folks thought he looked erily similar to the character “Calvin” from the 2002 hood classic film “Paid In Full.” Actually, a lot of folks did. Or an ill-fated character from a 90s hood flick. There were those who speculated Smith was popular with the ladies on campus. We’ll have to check those references. Only WSSU alumni and students will get this. His early 90s fashion was a hit with some. He did attend the Fashion Institute of Technology in New York before heading south to play basketball at WSSU. Smith graduated from WSSU in 1992, and worked his is way up the ladder to become one of the few black general sports columnists in America over the next decade and a half before joining ESPN. But at one point he was a college kid from New York enjoying the crisp fall weather at Bowman Gray Stadium when someone with a camera flicked this photo. He probably didn’t realize it would be talked about all over the world then, but it just goes to show you photos never go away.